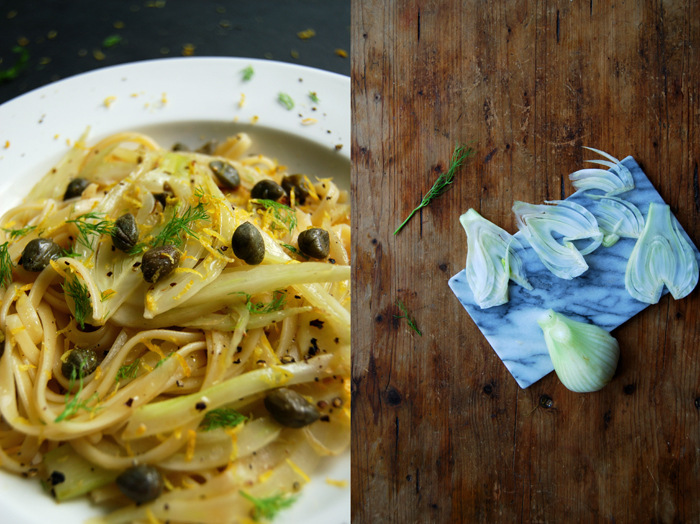 My fennel carpaccio with salty capers and lemon is one of my favourite winter salads, I always have a couple bulbs in the fridge to prepare this 2-minute lunch or dinner for us. 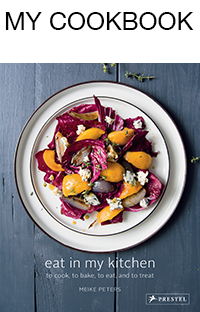 The vegetable is a tasty alternative to cabbages because, for whatever reason, it retains its strong aroma even when it’s out of its (natural) season. It’s always strong and present, be it baked in the oven as a gratin with parmesan sprinkled on top, with butter beans in a hearty soup or as a crunchy addition to salads. I would definitely suffer much more from the absence of summery tomatoes, zucchini and bell pepper if there wasn’t fennel in the house! 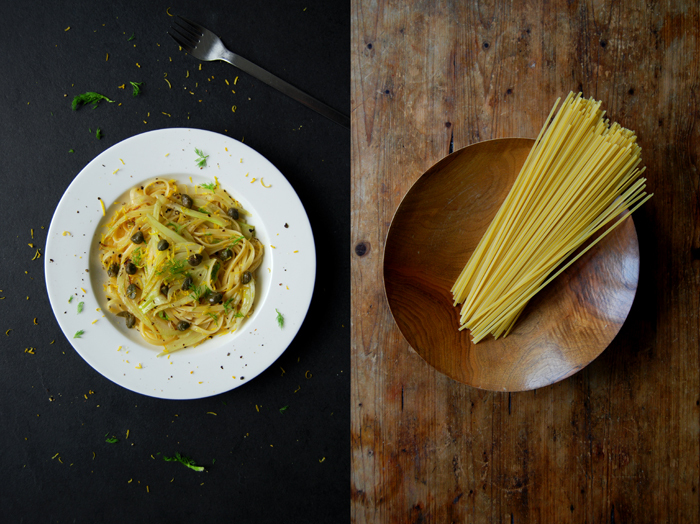 It’s been a while that we had a plate of pasta on our table, which is quite unusual for us. 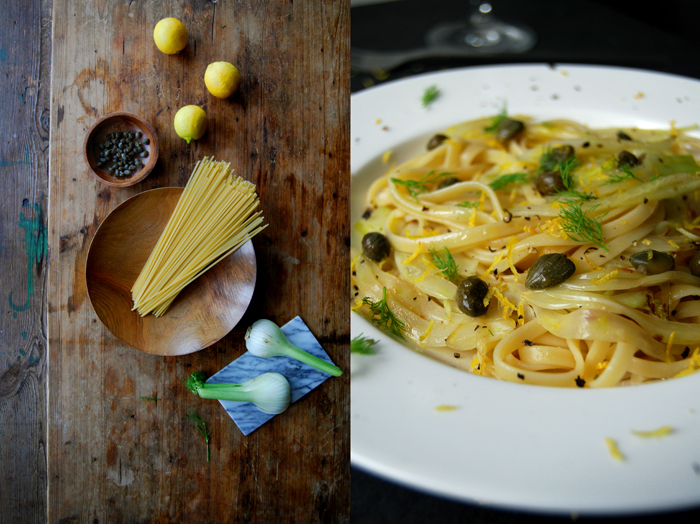 Inspired by my carpaccio, I pulled the linguine package out of the pantry and mixed it with thin fennel slices sautéed for just 2 minutes, a handful of capers from Gozo, lemon zest and juice. It was a quick and light dish, tasty and simply good! Cook the pasta in salted water al dente, keep some of the water in a mug and set aside. 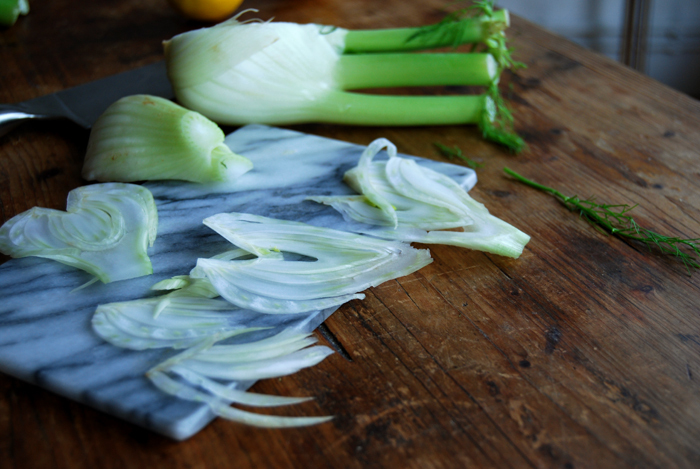 In a pan, heat a splash of olive oil and sauté the fennel for 1 minute on each side on medium-high heat. 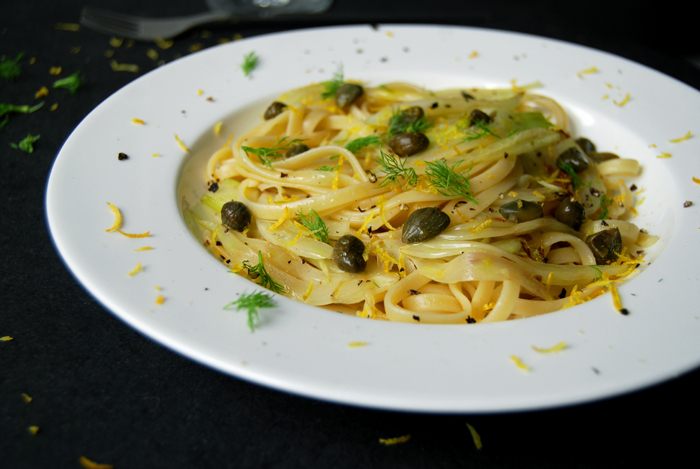 Add the cooked pasta to the pan and stir in a splash of the water used to cook the linguine and the lemon juice. 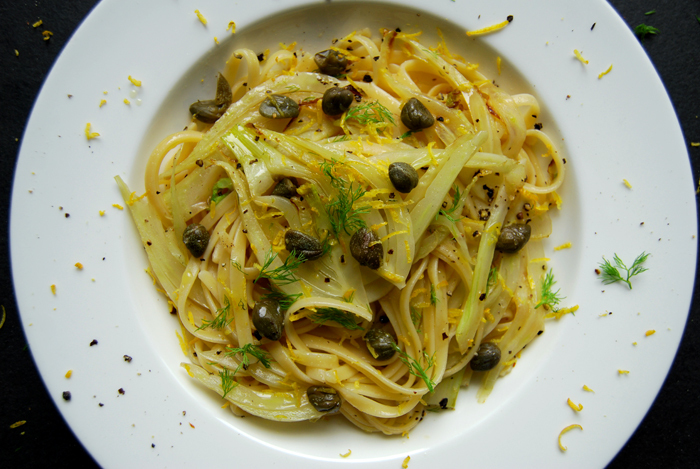 Sprinkle with capers and season with salt, pepper and lemon zest and juice to taste.